Latin America, with its rich resources – oil, minerals, and tourist sites – has been vulnerable to exploitation by large foreign firms. Families that are used to making a living off their land and are inexperienced with a cash economy are easily tempted into selling their family land for a sum which, to them, seems huge but is really a pittance. Off their family land, the money they are given is quickly depleted on rent, utilities, food, and other expenses that they previously didn’t incur. If they find jobs at all, the pay is typically minimal and working conditions harsh. While the foreign firms reap princely profits off of the resources, life for the indigenous people often becomes unbearable, and it is impossible to reverse the damage. 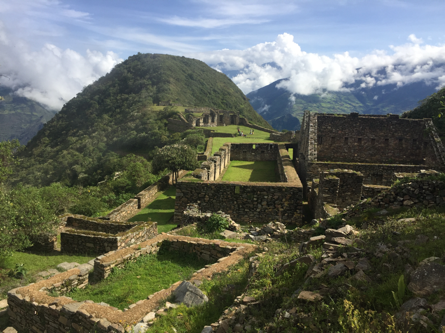 This could become the fate of the communities around Choquequirao – Machu Picchu’s sister city – unless Juan Covarrubias Ccaihuari succeeds in protecting the communities from foreign interests. Juan is a Peruvian Quechua who’s great, great grandfather settled on, and was granted ownership of, the land around and including Choquequirao. Over the years, small villages emerged as Juan’s relatives settled and farmed this portion of the Andes. 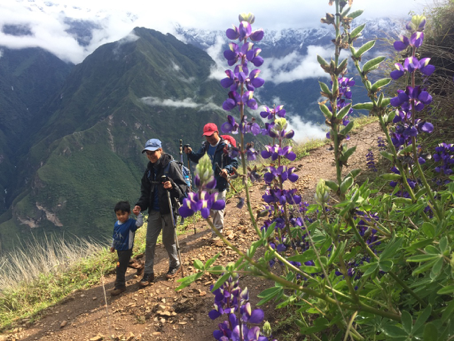 As he was growing up, he and his cousins even played soccer on the central plaza at Choquequirao, and they loved exploring the unexcavated ruins among the overgrown vegetation. In 1996, however, the Peruvian government repossessed the ruins to develop and protect them. 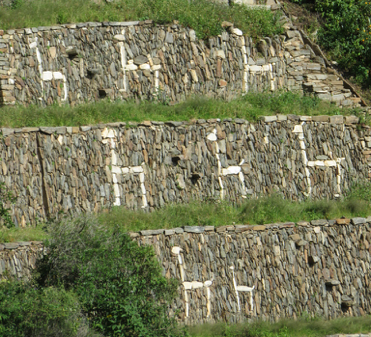 The ruins can only be reached by a rigorous trek through the steep Andes so tourism has been very limited, and this has served to protect the communities around Choquequirao from exploitation. But Lonely Planet’s “Best in Travel 2017” named Choquequirao as the #1 destination for 2017 in the “Top Regions” category. Large foreign firms are suddenly interested in securing market share and are trying to convince locals to sell their land. 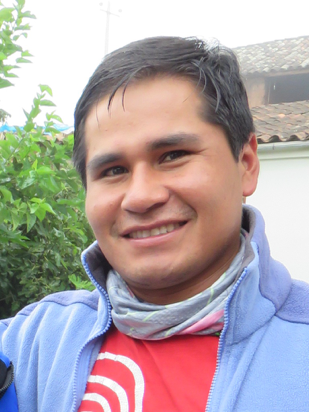 To combat this, Juan has started his own tour company, Apurimac Adventures, which is the only tour company run by, and employing, the locals around Choquequirao. The guides, cooks, and muleteers are all local residents. He rents mules and horses from the locals, camps on their land to give them rental income, buys food grown in the villages along the trail, and is working on other ways to ensure the tourist dollars are widely distributed. He is also coaching the families about the dangers of selling their land and is encouraging them instead to develop ways to benefit from the growing tourism. Developing the company and growing its capacity requires investing in tents and camping equipment, advertising, and other necessary expenses. Without the deep pockets of the big foreign companies this is difficult, but Global Pearls is excited to help fund this effort. Juan has a natural understanding of business, is dedicated to quality, and has a passionate desire to protect these communities – his communities – before they can be exploited by foreign firms. It doesn’t stop there, however. Every dollar we give to help Apurimac Adventures will be treated as a loan, except instead of paying back to Global Pearls, it will be repaid into a fund that will address needs in the communities. The funds can be re-loaned to help families increase their income earning capacity or can be given as educational scholarships, medical care, or … We believe this is a very worthy project! Want a fun way to support these communities? Go on a trek with Apurimac Adventures!